The book that….touched my heart. I adore this story! I devoured it in two days and loved every minute of it. I gave this book 5 out of 5 stars on Goodreads. Synopsis: Two women, centuries apart, are joined through a tattered journal as they contend with God, husbands, and even themselves . . . until they fall into the arms of the One who loves them unconditionally. Sierra Madrid’s life has just been turned upside down when she discovers the handcrafted quilt and journal of her ancestor Mary Kathryn McMurray, a young woman who was uprooted from her home only to endure harsh conditions on the Oregon Trail. Though the women are separated by time and circumstance, Sierra discovers that many of the issues they face are remarkably similar. By following Mary Kathryn’s example, Sierra learns to surrender to God’s sovereignty and unconditional love. Going into this book, I knew that I would like it but I was not expecting me to love it quite as much as I did. Francine Rivers is one of my favorite authors of all time and I know that pretty much everything she writes will be good. However, I am not a huge fan of contemporary books and so I was a little apprehensive about this one knowing that a big portion of this book was going to be contemporary. About 20 pages in, I was completely hooked. I came to care so much for the characters in this story that I cried and couldn’t rest until I read the book in its entirety. The writing from the two different time periods had such distinction that made the characters seem even more real. The writing is so seamless and effortless that it just flows and I found myself flying through this book. I loved the fact that though the two women had similar struggles, their stories were also very different. I have read other books where there are two stories taking place in two time periods but often they are so similar that it feels like you are reading the same story twice. This book was not that way at all. Both women had things in common and other things that set them apart. Usually I can find something that I would like to change in a book but to be completely honest, it was wonderful just the way it is. I think this is a great read for anyone who likes books centered around marriage and family or for someone who is looking to get into stories that talk about that subject. I would also like to mention that Redeeming Love by Francine Rivers is on my list of my top 10 favorite books of all time (quite possibly my favorite book of all time). If you have not read it, I suggest you do. It has forever changed my outlook on love and marriage. Very powerful. I feel like nothing I could say about this book would do it justice so I just ask that you check it out and give it a try. This is the final book in The Grand Tour Series. I was sent a copy of this book to read in exchange for an honest review from NetGalley. I gave it 5/5 stars on Goodreads. Hounded by the stubborn pursuit of Pierre de Richelieu and journalists chasing the beguiling story of the newest American heiress, Cora fights to remain true to her past, reconcile her present, and still embrace her future. But as Will struggles with her newfound wealth, Cora begins to wonder if their love is strong enough to withstand all that threatens to pull them apart. I thought that this book was the perfect ending to a great trilogy. This book was paced extremely well for the most part, though there were a few times where it did get a bit dull. It felt like any time I got a little bored with what was happening, some new plot twist would pop up. I loved the travel aspect of this trilogy. I love a book that can fully transport me to another time and place. This was probably my favorite part of this story. It took me all around Europe and allowed me to completely escape into Cora’s story. While this book has strong Christian themes, they are woven throughout the story in a way that makes sense and seems natural. So many Christian books seem to put the message before the plot but this one worked it in in subtle and meaningful ways. I would recommend this book to people who love travel and European architecture and history or are just looking for a coming of age story. Have any of you begun this series at all? Have you read any books that have completely transported you to the time place? Let me know down in the comments. I love having books recommended to me. I thought that today would be a good day to talk about some series I want to begin sometime in the near future. These are not in any particular order and I cannot guarantee that I will actually get to them anytime soon. However, I have been wanting a good series to read this summer and one of these might tickle my fancy. 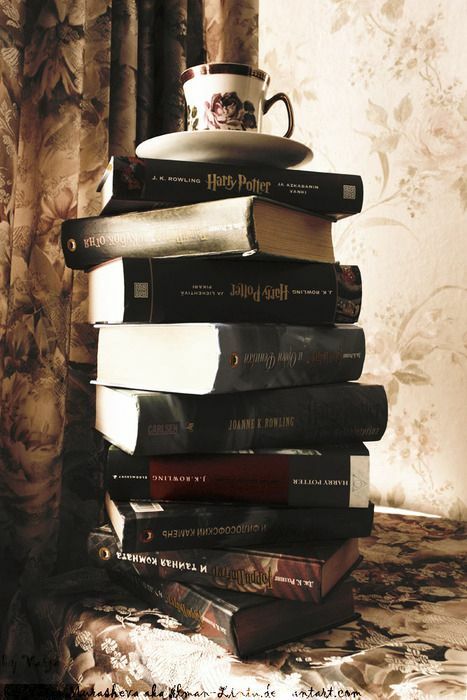 Have you read any of these series? Please let me know. I would love to hear which ones you think I should read and when. Are you thinking of starting any series this summer? Let me know down below. The book that….tugged at my heartstrings. I recieved an e-copy of this book from Netgalley in exchange for an honest review. Synopsis: Saddled with a man’s name, the captivating Billy Jack Tate makes no apologies for pursuing a man’s profession. 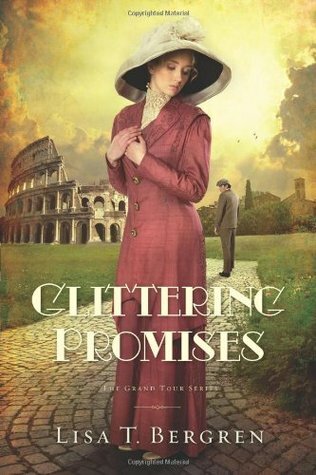 As a lady doctor at the 1893 Chicago World’s Fair, she is one step closer to having her very own medical practice–until she doctors an imposing man who threatens the fulfillment of her dream. Hunter is one of the elite. A Texas Ranger and World’s Fair guard specifically chosen for his height, physique, character, and skill. Hailed as the toughest man west of any place east, he has no patience for big cities and women who aspire to walk in a man’s shoes. But the abandoned baby Hunter discovers at the Fair finds him teaming up with the good doctor to give the foundling a better future than the slums of Chicago, where the children play on flea-infested, garbage-strewn streets. AS Billy and Hunter fight for the foundling’s welfare, their hearts warm to the precious child–and to each other. Soon their concern grows to encompass the Nineteenth Ward’s burgeoning population of street children. In the interest of fair play, Billy and Hunter let nothing stand in their way as they labor to build a park for them, birthing Chicago’s first playground and a national movement that will sweep the nation. But the Fair is coming to an end, posing impossible decisions for Billy and the man who has won her heart. Will they become a footnote in the Fair’s history books, or will what they discovered in Chicago be longer lasting than the World’s Exhibition. This is the second book in Gist’s It Happened at the Fair series. This book was released earlier in the month. I have not read the first book yet but this book can easily be read on its own. As with most books, there were things that I liked and disliked about the book. I ended up giving it a 3 maybe 3.5 star rating. I am a big fan of this author but this one was not my favorite of Deeanne’s. One thing I did not appreciate was the fact that Hunter supposedly likes everything about Billy’s personality yet all we ever hear him mention are her looks. The least the author could do is actually make us believe that Hunter has even noticed anything beyond how skinny she is or how shapely her bottom is. Along with that, the sexual tension between the two of them was brought up again and again and again. After a while it got a little old and I felt like it was used just to make the book that much longer. I did really enjoy the setting of this book. I love reading about World Fairs and this book did not disappoint. I only wished she had talked a little bit more about the fair. I also loved the aspects that had to do with the poorer parts of town. Reading about the people’s living conditions was both eye-opening and touching. I also think that the author did a good job trying to add as many accurate details as possible into the story. There are even some photos included throughout the book showing different people and places the author talks about. Overall, I thought this was a sweet story. It was not perfect but it did satisfy me as a fun and entertaining read. I would recommend this book to fans of historical fiction and romance novels. Pick up your books here and I will get a small commission.